While many traditional robots are limited by a predefined set of alternatives for interactions and collaborations, one of the challenging goals in robotics and computer science is to build future robots and devices in physical or virtual forms that are multi-disciplinary in nature, connected to the world knowledge, and interact with humans to solve general as well as domain specific problems. This workshop will gather people from industry and academia to create an opportunity to discuss how Semantic Computing can be effectively applied for smart interactions between humans and robots for problem solving, where Semantic Computing addresses the derivation, description, generation, integration, and use of the semantics (“meaning”, “context”, “intention”) of sources that may be static, dynamic, structured, semi-structured, unstructured, or a mixture of the above. Manuscripts must be written (6 pages maximum, all included) in English and follow the instructions in the Manuscript Formatting and Templates page given in IRC 2019 website in the “Submission” section. Papers must be original and not be submitted to or accepted by any other conference or journal. Only electronic submission will be accepted. Manuscripts may only be submitted in PDF format. Each paper will be peer-reviewed. 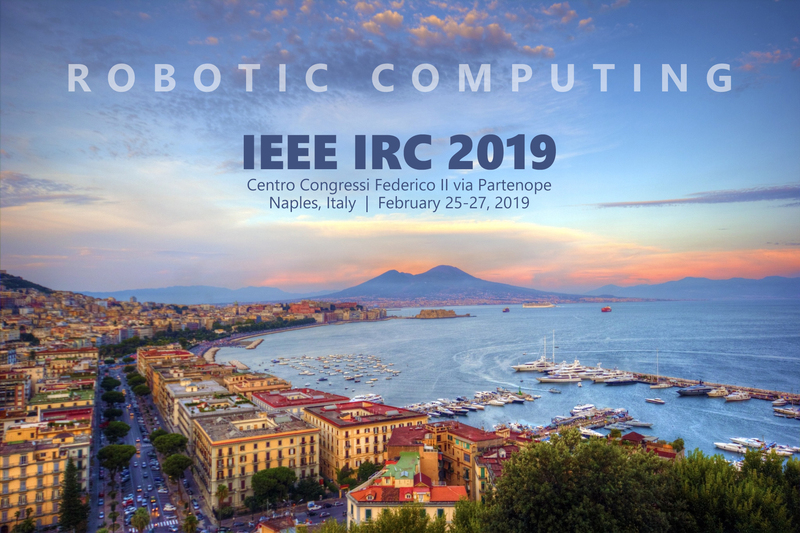 Papers accepted by the workshop will be published in the conference proceedings published by IEEE Computer Society Press. Outstanding papers will be invited to submit an extended version for possible publication in prestigious journals. Papers should be submitted to Dr. Phillip Sheu (scrc@uci.edu). For any question regarding the workshop please contact Dr. Sheu at the same email address.